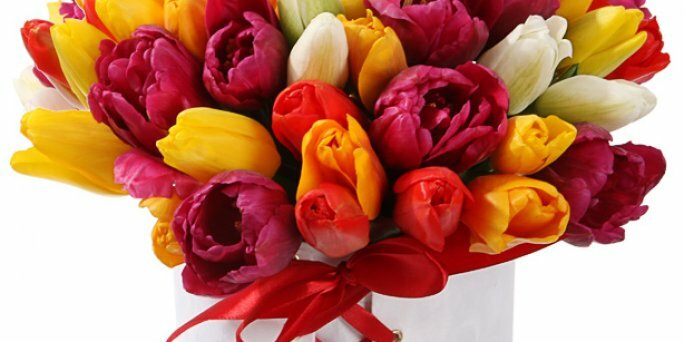 ❶ A magnificent bouquet of flowers online order is easy to find in the shop KROKUS. A magnificent bouquet of flowers online order is easy to find in the shop KROKUS. Floristic studio KROKUS offers its customers an easy way to congratulate relatives and friends on a holiday. To do this, simply make a bouquet of flowers online order with the delivery all over Riga and Latvia. Order a bouquet of flowers online at the best price in the capital. Here you will find the freshest and aromatic compositions from professional florists. Our own courier service will bring a bouquet to the house of a gifted person safe and unharmed on the specified day and hour. 24-hour reception of bouquet of flowers online order or by phone +371 200 303 06. Where you can order a bouquet of flowers online for March 8 in Riga? The online shop KROKUS is glad to welcome its visitors on the official website. Here you will find a wide choice of bouquets of flowers and order flowers online with the delivery to Riga and all over Latvia without leaving home! In addition to a wide range of goods, we offer our customers 24-hour courier service, favorable prices and a really individual approach. A bouquet of flowers online order for a certain holiday has become one of the most popular questions among customers in Riga (Latvia). And often such a celebration is the 8th of March. Indeed, by the tradition we are accustomed to congratulate mothers, grandmothers, sisters, beloved women and girls, colleagues, teachers and other women on the International Women's Day, presenting them with luxurious flower compositions. If you also want to surprise and to please your beloved women on March 8, then feel free to contact our shop to order bouquet of flowers online or buy flower bouquet with the delivery to any part of Latvia. How to find a suitable bouquet? ● compositions in hatboxes, baskets, cages. Besides, in Riga (Latvia) you can order flowers and chocolates online as a gift on March 8, supplementing them with a postcard, souvenir, vase, balloons and even fruits or berries. In order your bouquet to reach the recipient in time, try to order it 2-3 days before the celebration. If you do not have time to do this, use the service of urgent sending of flowers or the delivery of the composition just on time. Our courier service will be glad to help you not to miss the moment and to congratulate women on March 8 on the same day. Do you like the composition, but you do not like the price? No problem! In the description page of each bouquet, you will find several variants of its design, differing in the number of flowers used, and therefore the price. Choose the best price offer according to your own budget and pay for the order in a convenient way. Besides, if you have difficulties with making a purchase on the website, feel free to call the company KROKUS at the specified number. The manager will help you to choose the suitable bouquet, specify all the details of the order and delivery.